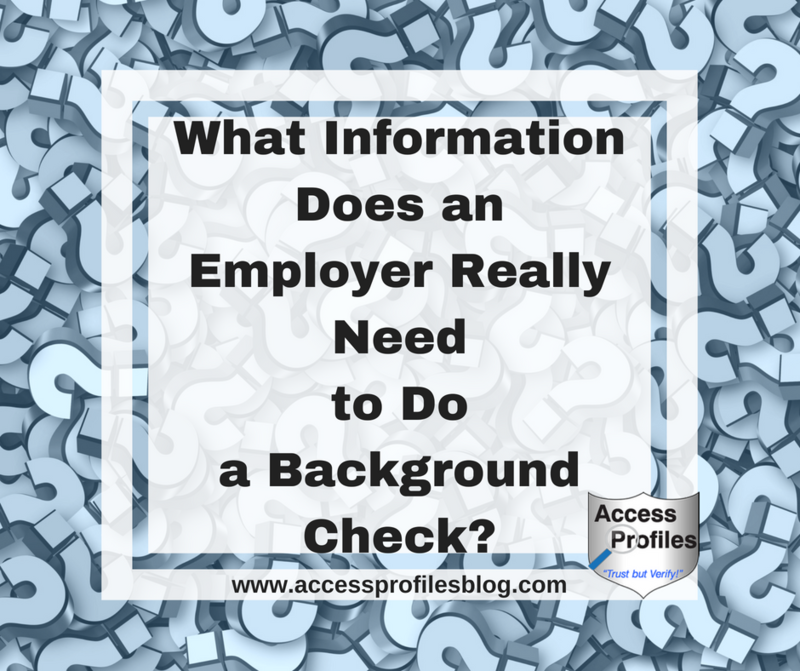 What Information Does an Employer Really Need to Do a Background Check? There are many mysteries and misinformation surrounding employment background checks. It seems that no matter how many articles or news stories are written about them, background checks still make a large number of people unsure and uneasy. And that definitely includes both Job Applicants and Employers! When it comes time for the Employment Background Check, applicants, and even employers, are often nervous. Both have questions about the process and wonder whether the information found will have an impact on the hiring decision. Why are Employment Background Checks Necessary? As an employer, “it is important that you hire carefully, not in haste. Not all business owners recognize the importance of screening their employees from the start. Many believe it is not necessary. Or that it is too time consuming and expensive. That is why making a hiring mistake can actually harm your carefully cultivated brand. It can even put your small business, your other employees, and your clients in jeopardy”. And that is only the beginning. Find out more about why employment background checks are crucial to your business in “If You are not Doing Background Checks on Your New Hires, You are Making the Biggest Mistake Your Small Business can Make!”. What Guidelines need to be followed when doing Employment Background Checks? 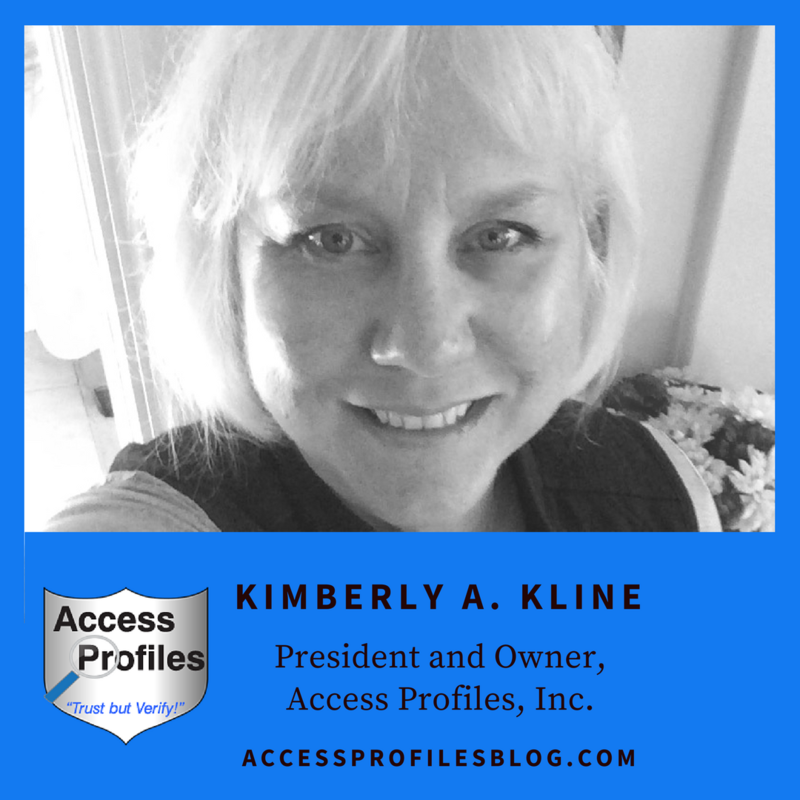 Employers are subject to many regulations and guidelines when it comes to hiring ~ and that is especially true when it comes to the background check. The must recognize that Job Applicants have rights concerning when a background check can be done, the release forms that can be used to authorize the check, and rights concerning the information found during the check. Not following these laws and guidelines can put a company in hot water. That is why integrating them into their hiring policies is so important. Learn more about the best procedure when it comes to the background check and an applicant’s rights here! What Information are Background Checks really Looking For? “Anyone in the market for a new job (whether that be with a new company or for a promotion within) will most likely be subject to a Background Check. And despite employment screening being a common practice, many are still confused about what a company is really searching for and why”, excerpt from “Employment Background Checks ~ What Companies are Really Looking For!”. Most employers want to know an applicant’s past employment, education, and skills to determine if they have what it takes to do the job. They will also want to know whether the applicant has a past criminal record that could jeopardize the safety of the company’s customers, employees, or assets. What may be surprising to know is that by the time a company is ready to do the background check, they are really looking for verification that they have made the right decision in wanting to hire this applicant! 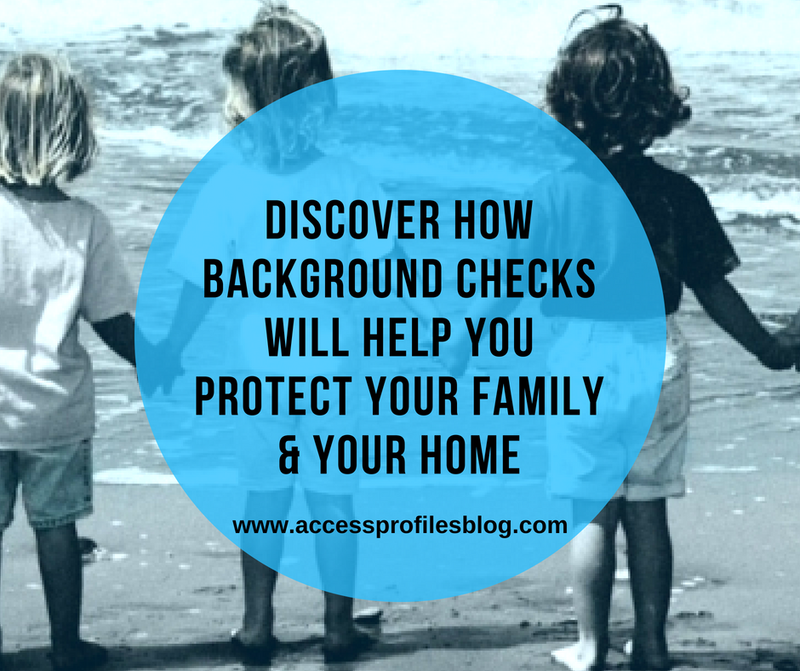 “What information do I need to know about the applicant to run a background check?”. 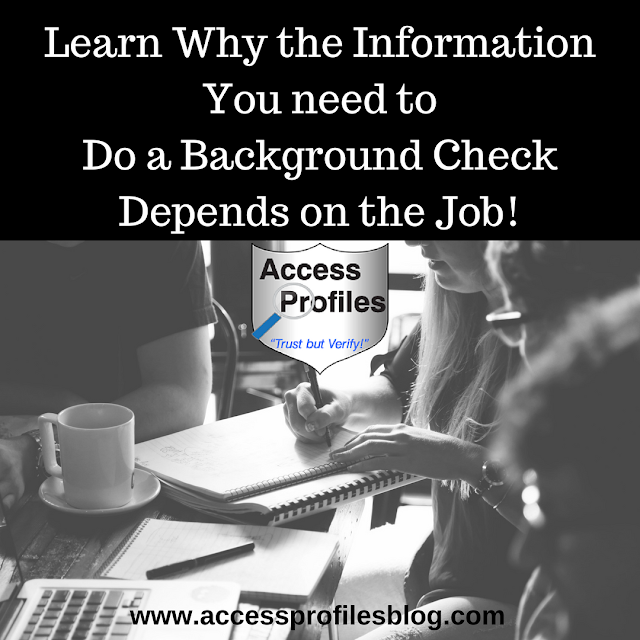 This opened my eyes to a dilemma that this employer, and probably others, have when it comes to background checks ~ understanding exactly what information is needed from the applicant in order to do a good background check. “In order to run a good background check, it is best to know as much identifying information as possible about your subject. At the very minimum, you need to know the subject’s full name, any previous names used, date of birth, social security number, and where they live. Ideally, you should also have them supply the following: any place they have lived and/or worked for the past 7 to 10 years and their driver’s license number and the state of issue. If you plan on verifying education, they should also list the name, location, and contact information for the highest diploma or degree obtained. If you will be verifying past employment and/or references, then you will want them to provide the name of the company or reference, their phone number and a working email address, and their dates and title of employment. While this may seem like an excessive amount of information, requesting it from your applicant serves two purposes. First, it speeds up the entire process because it eliminates the time it would take to try and research this information yourself. And second, it is a great way to get a feel for the honesty and thoroughness of your candidate. Providing accurate information is a great first step in determining how honest they really are!”. 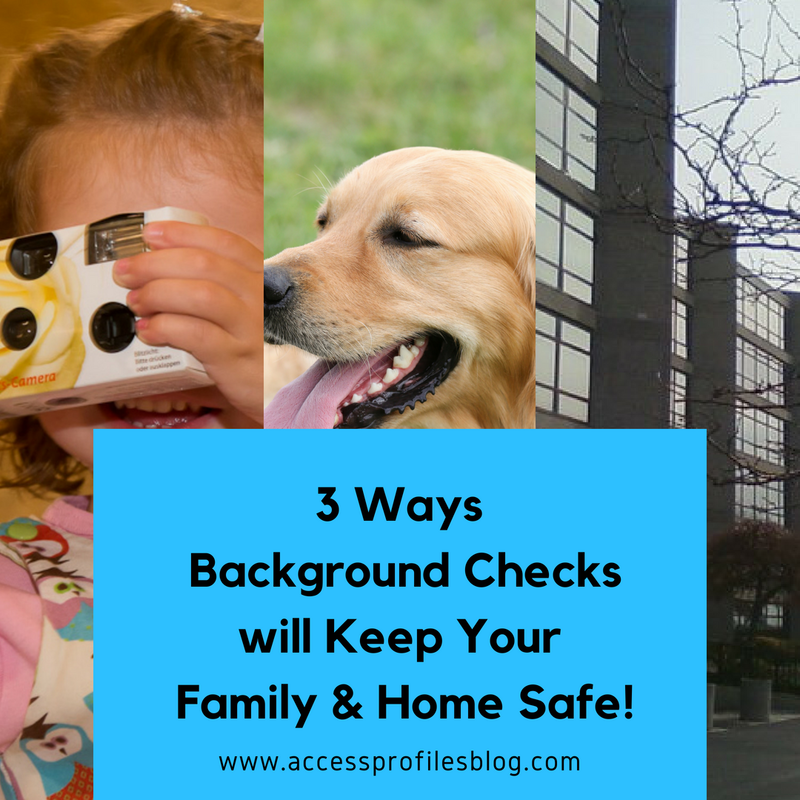 discover more tips on what you should provide and expect from your background check company in “You want a Background Check, Now What? What Your Provider Needs to Know”. the type of job you are filling and the scope of your desired background check! The Scope of Your Employment Background Check Depends on the Job! Find out more in "One Size Does not Fit All ~ Why You Need to Fit the Background Check to the Job"! Knowing in advance exactly what information you need from your applicant to do the employment background check makes sense and is good business. It will help expedite the entire process, which is good for you and your applicant, and give you the information you need to make a quality hire. The result will be that both you and your applicant will be moving forward in the hiring process with your eyes wide open. And this is makes the most sense of all! Ready to Hire or have questions about Employment Background Checks? Contact Us! We can Help! Check out our FAQ and Background Investigation and Job Search Services too!